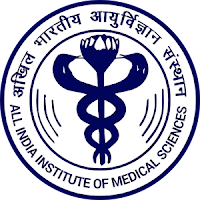 All India Institute of Medical Sciences (AIIMS) has published Advertisement for below mentioned Posts 2018. Other details like age limit, educational qualification, selection process, application fee and how to apply are given below. Educational Qualification: B.Sc (Hons) Nursing / B.Sc. Nursing from an Indian Nursing Council recognized Institute or University; OR B.Sc. (Post-Certificate) / Post-Basic B.Sc. Nursing from an Indian Nursing Council recognized Institute or University; Registered as Nurses & Midwife in State / Indian Nursing Council OR Diploma in General Nursing Midwifery from an Indian Nursing Council recognized Institute / Board or Council; Registered as Nurses & Midwife in State / Indian Nursing Council. Two years experience in a minimum 50 bedded Hospital after acquiring the educational qualification mentioned above. Take a print out of offline application form.